This coming Chol Hamoed of Pesach, the Carlebach Moshav in Mevo Modi’im will host its 17th bi-annual Moshav Country Fair. The Fair is organised by Leah Sand and is one for more popular activities for Chol Homoed, catering to families, kids and young adults and old timers who want to have a place to hang out – listen to great music, have a picnic, etc. There are activities for kids, a women’s tent with teachings & workshops, workshops on the environment and beautiful arts & crafts booths. To cater for the increased crowd, an extra 200 parking places are to be made available. Moshav Mevo Modiim was established in 1976 and has been involved in Jewish education and sustainable, natural living from its inception. Rabbi Shlomo Carlebach z”l was the spiritual leader of the Moshav and his teachings, music and spirit set the tone for all its educational initiatives. For nearly forty years, Mevo Modiim has been a magnet for tens of thousands of guests on Shabbat and holidays, major music festivals and country fairs. 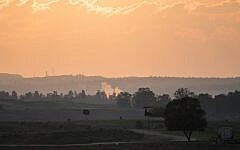 The Moshav is populated by a unique and diverse group of talented artists, musicians, writers, film makers, healers and teachers. The Moshav will now have a permanent Visitor Centre, which is run by Elnatan Golomb, son of Michael Golomb z’l – whose vision was to have a centre that hosts a variety of musical and environmental programs. The Centre will house a library and artifacts of Reb Shlomo Carlebach and coordinate programs for groups and individuals, as well as programs of the Shlomo Carlebach Foundation. Reb Shlomo’s music, stories and message of Ahavat Yisrael have inspired so many people across the world and his impact is still growing 21 years after his death. The Centre will run programs which hopes to which will inspire and promote; A connection to the self, one’s Jewish identity and; Exposure to a peaceful and sustainable environment and Spread the message of love and acceptance and the concept of Tikun Olam. A visit to the Moshav can be made together with other nearby attractions; tour of the graves of the Maccabees, nature and meditation walks and bike rides in the Ben Shemen Forest, Neot Kedumim Park, Monkey Park and a visit to the moving Zenglembia Holocaust Memorial. The Visitor Centre will showcase sustainable natural living and there is a plan for the construction of a sukkah and paving constructed in mud strengthened by the advances in nanotechnology derivatives adapted to traditional building systems. 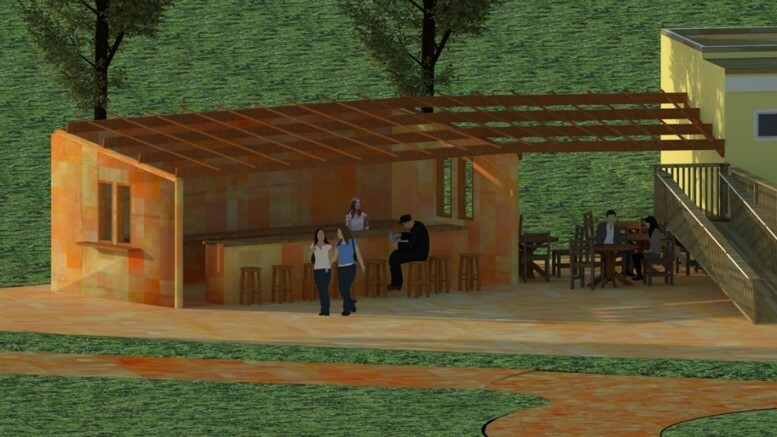 The sukkah will house a coffee and gift shop where local residents will be able to sell their wares and books, CD’s will also be available for sale. 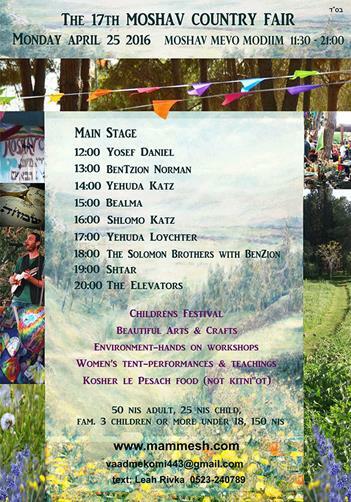 We invite you to come the Moshav Country Fair, stop by to the Visitor Centre and hear about its future plans. The Fair is on Monday 25th April, from 12pm to 9pm. Fair details are available at http://www.mammesh.com.